A few days ago we shared word about AT&T’s apparent appetite for properties across the Atlantic and that Telefonica was on the short list of possible investments. The reasons behind the ideas to invest are the state of the European economy as well as the state of the saturated wireless market, plus the fact that Telefonica is looking to divest some of its own properties. One of those assets was O2 in Ireland. While that was not noted to be on AT&T’s list, it no longer matters as Three has agreed to buy O2 Ireland from Telefonica for €780 million ($1 billion). 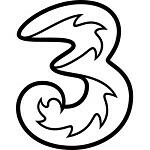 Three is owned by Hong Kong based conglomerate Hutchison Whampoa. Operated under the brand “3” in several markets across Europe, Asia and the Pacific, the carrier has about 30 million subscribers world-wide. The acquisition will instantly make Three the second largest carrier (behind Vodafone) in Ireland with about 37% market share, and 2 million subscribers up from only about 500,000 subscribers. It is a remarkable acquisition for Hutchison Whampoa and complements its holdings in the British Isles handsomely. How that changes the opportunities for AT&T is not certain, but it looks like the climate is right for buyers and sellers of wireless assets in the EU.